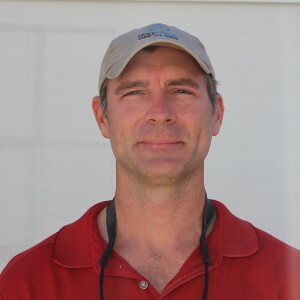 Ron Hoenig is the manager of the University of Miami Experimental Hatchery (UMEH), overseeing day-to-day operations hatchery facility. He graduated from RSMAS in 2009 with a Master of Arts in Marine Affairs and Policy, focusing on the development of aquaculture techniques for a number of different marine finfish species. Upon graduation, Ron was hired as a research associate working under Dr. Daniel Benetti on improving methods for broodstock collection and management, captive spawning, and larval rearing of goggle-eye (Selar crumenophthalmus) and blackfin tuna (Thunnus atlanticus). He has been the UMEH manager since 2011 and currently supervises the care and production of seven species: Mahi-mahi (Coryphaena hippurus), Cobia (Rachycentron canadum), Red Snapper Lutjanus campechanus), Nassau grouper (Epinephelus striatus), Japanese flounder (Paralichthys olivaceus), and Florida stone crab (Menippe mercenaria). Ron is excited about utilizing advances in marine finfish aquaculture production to further our understanding of the impacts of oil exposure on commercially important species in the Gulf of Mexico.